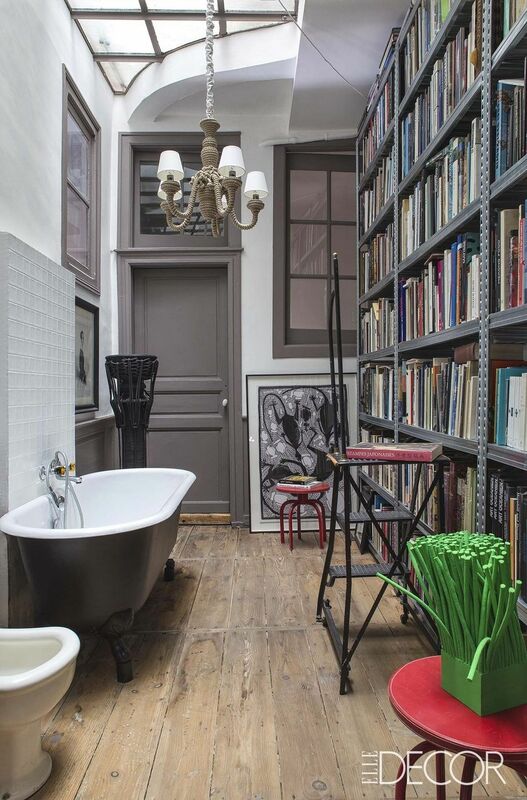 Light, materiality, and reuse are common themes throughout the house. 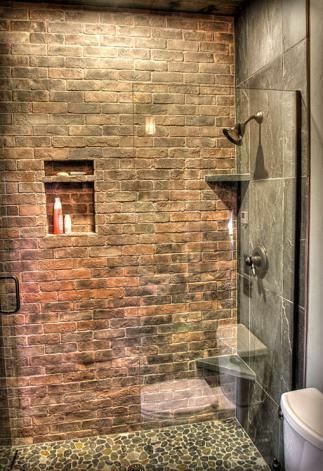 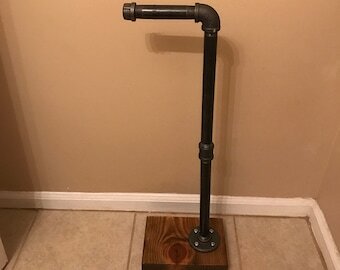 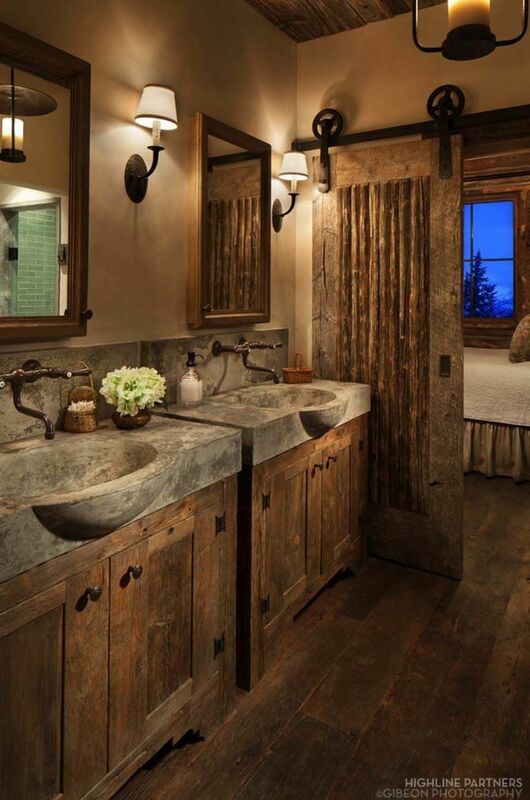 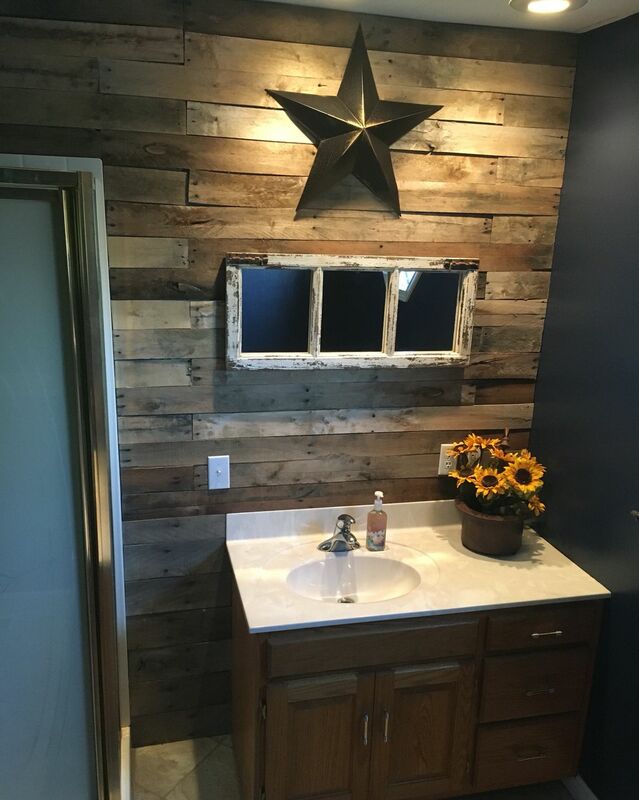 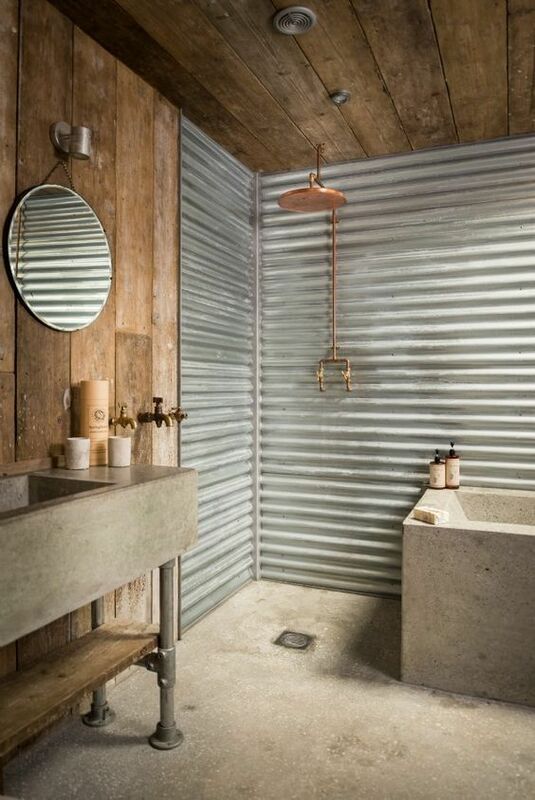 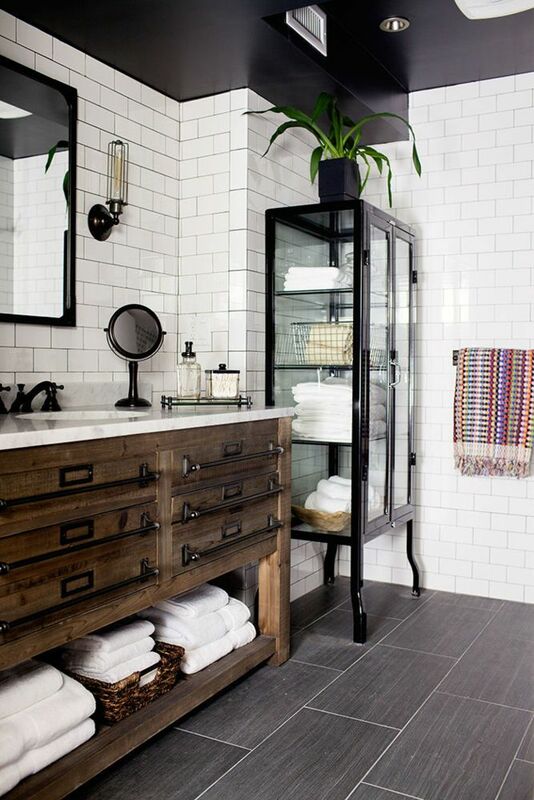 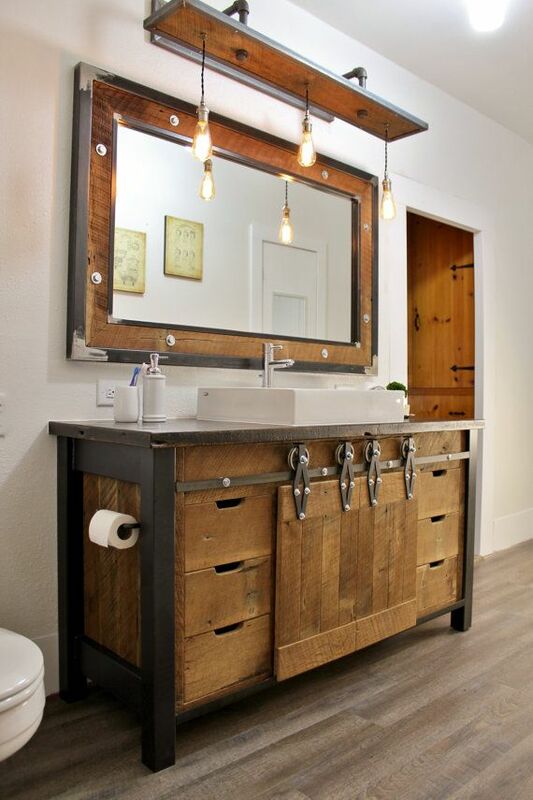 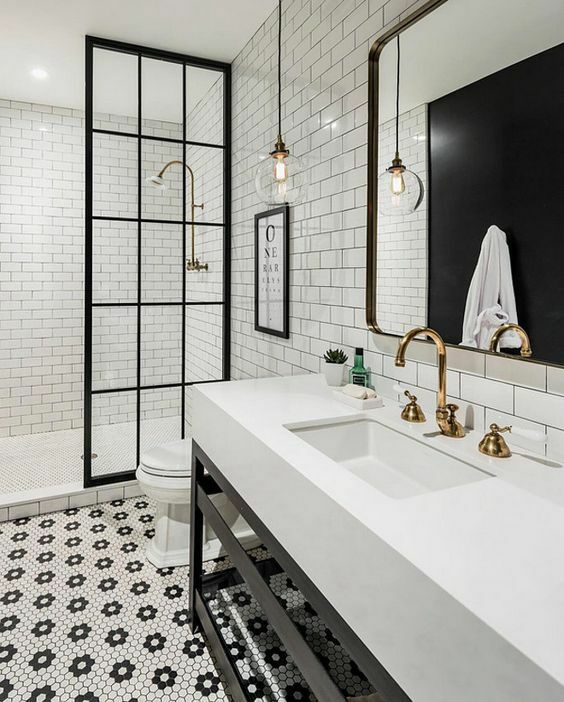 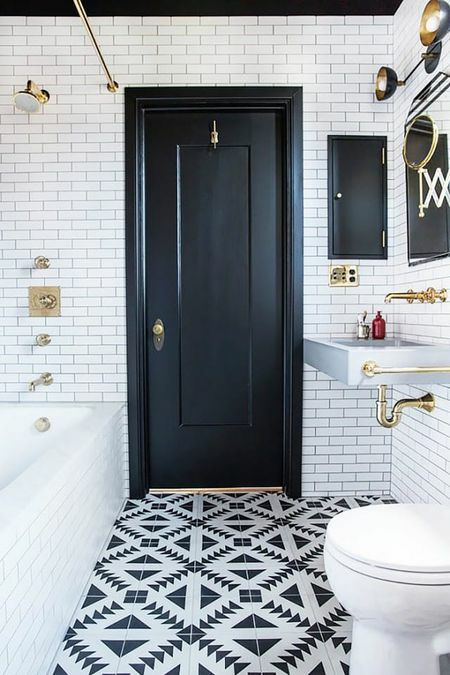 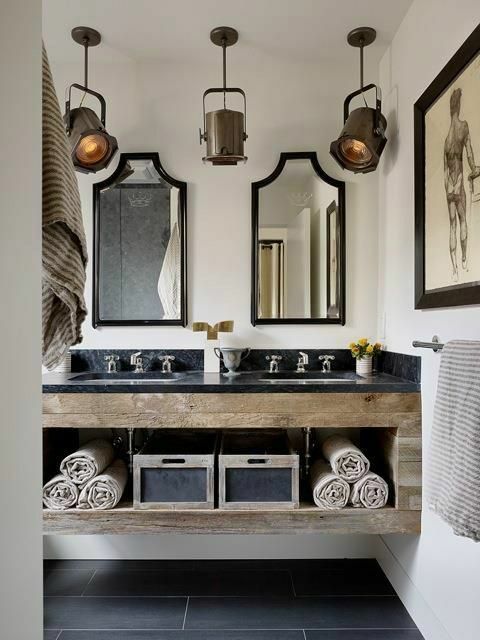 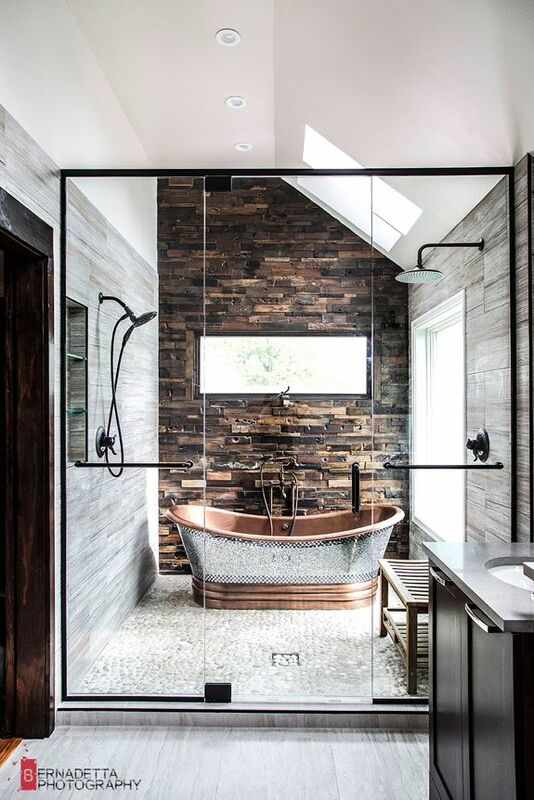 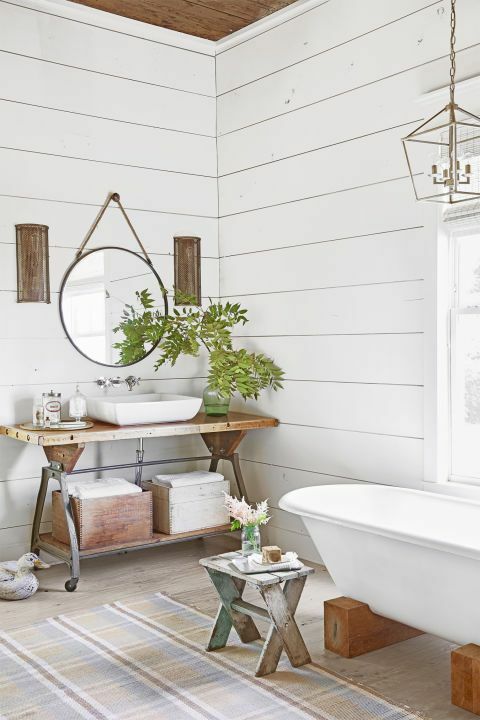 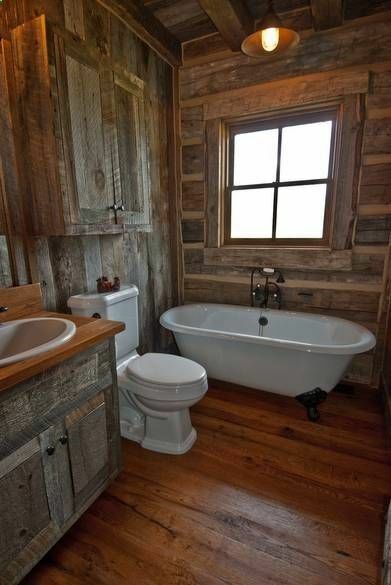 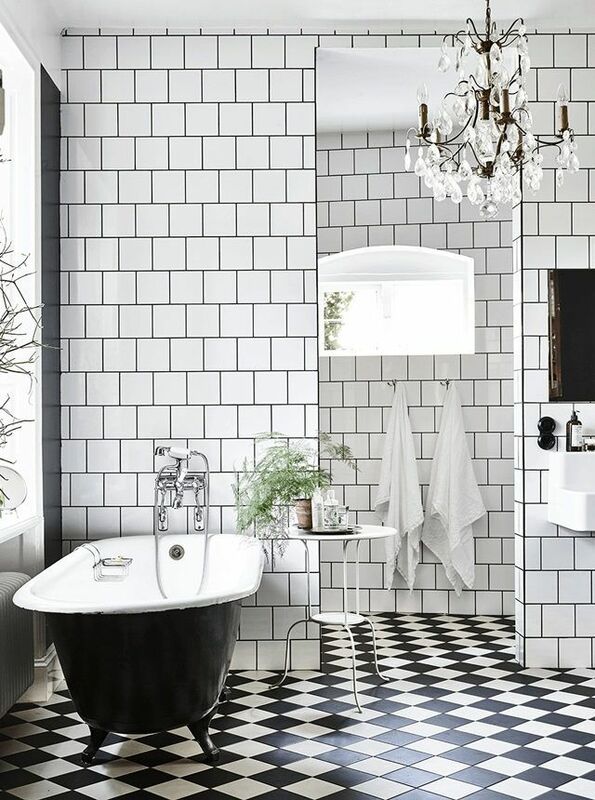 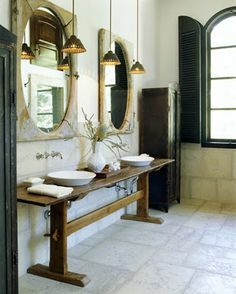 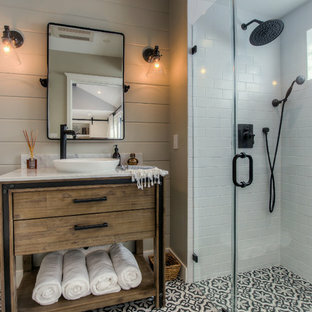 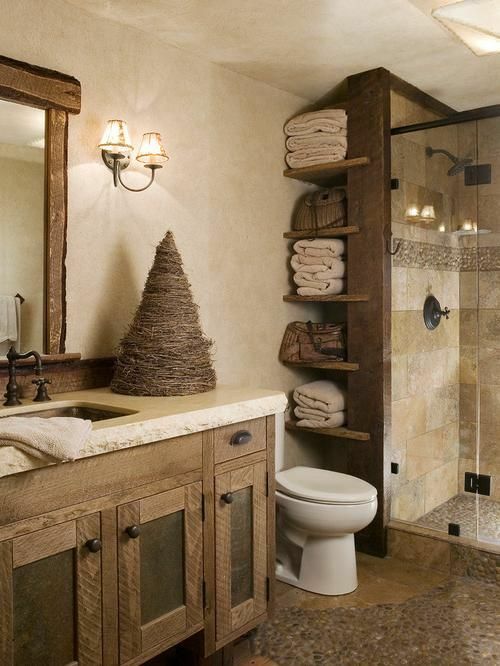 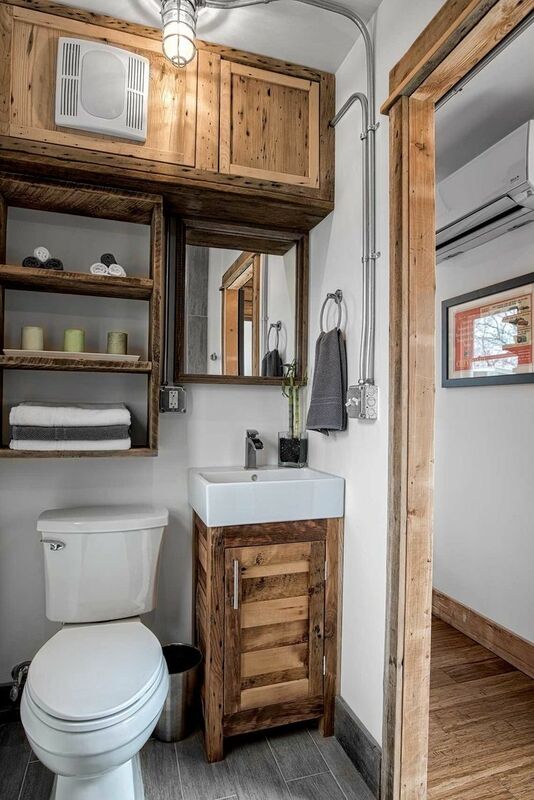 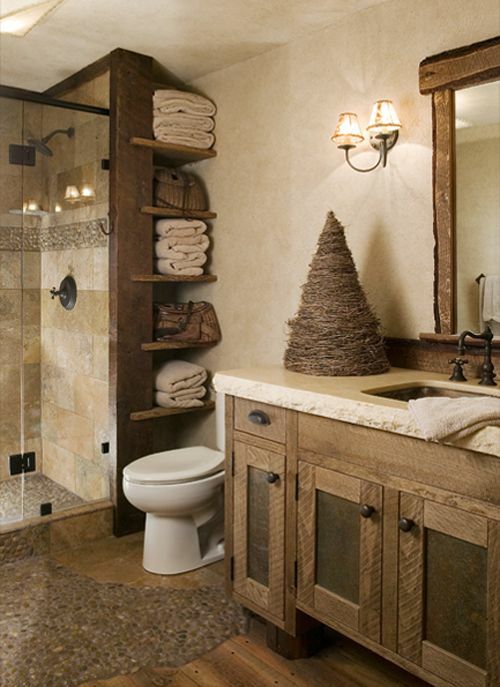 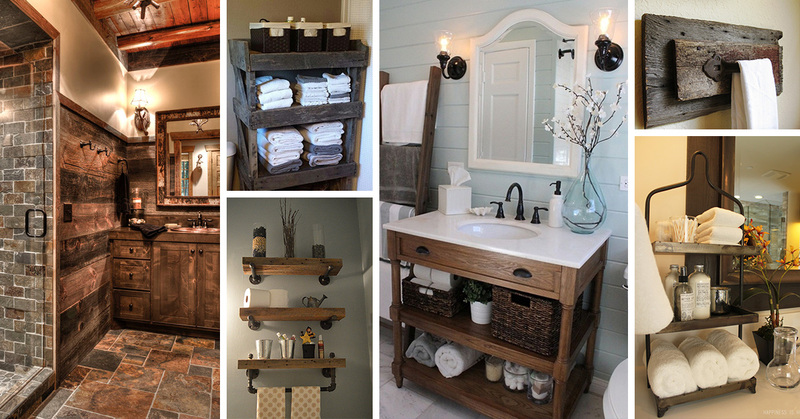 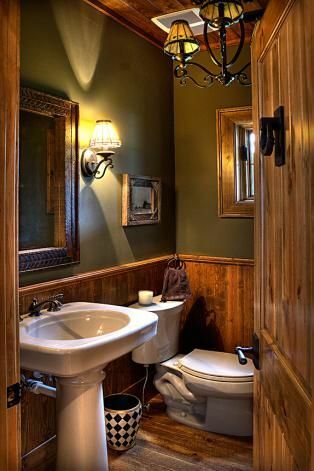 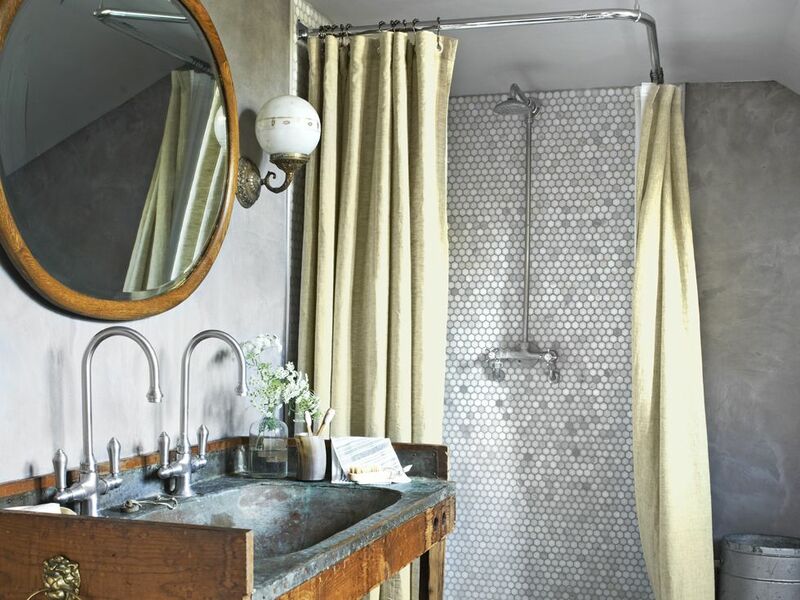 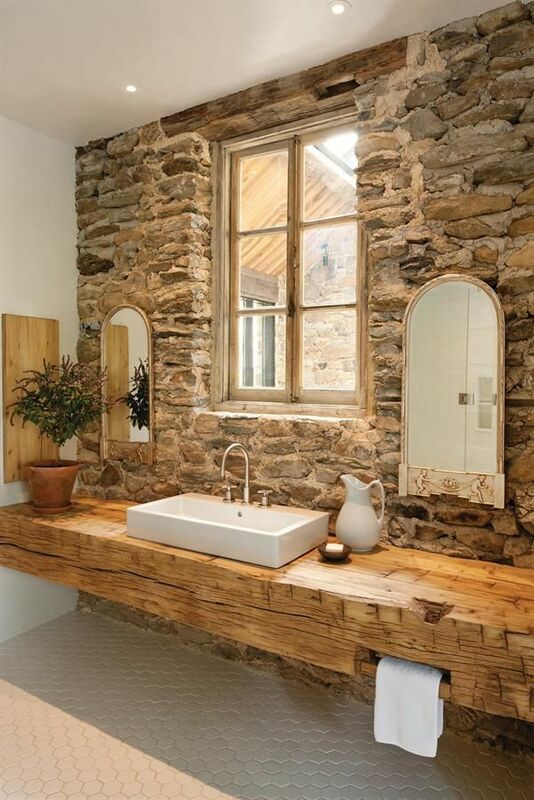 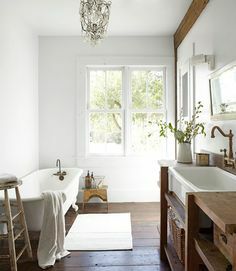 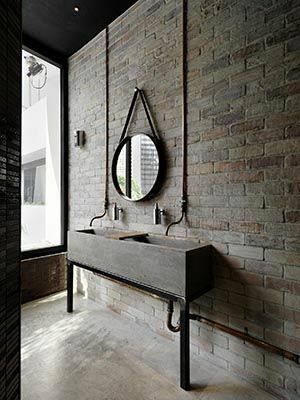 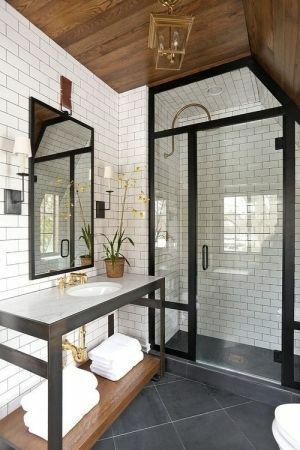 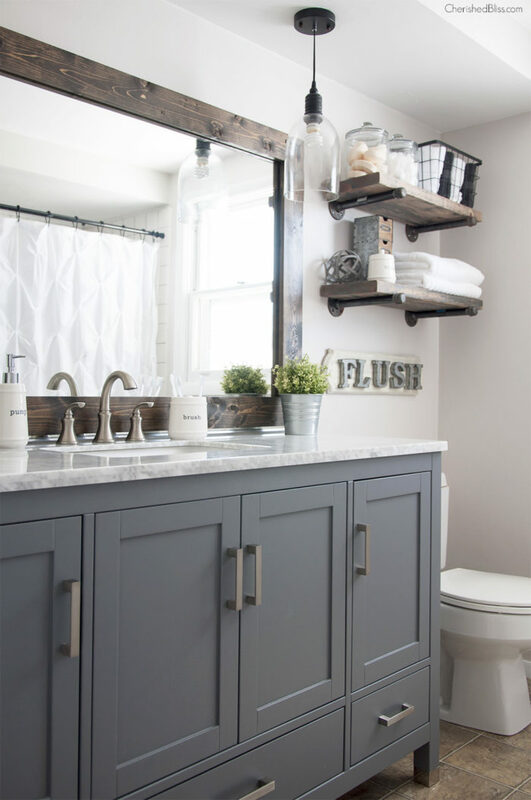 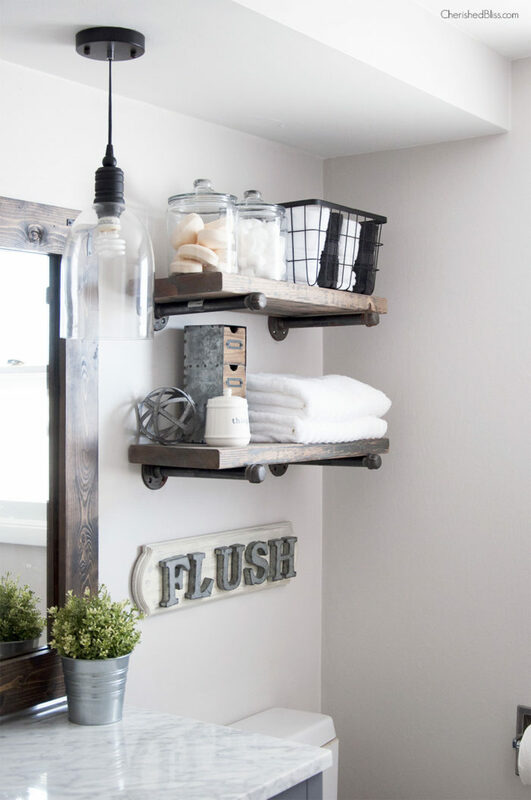 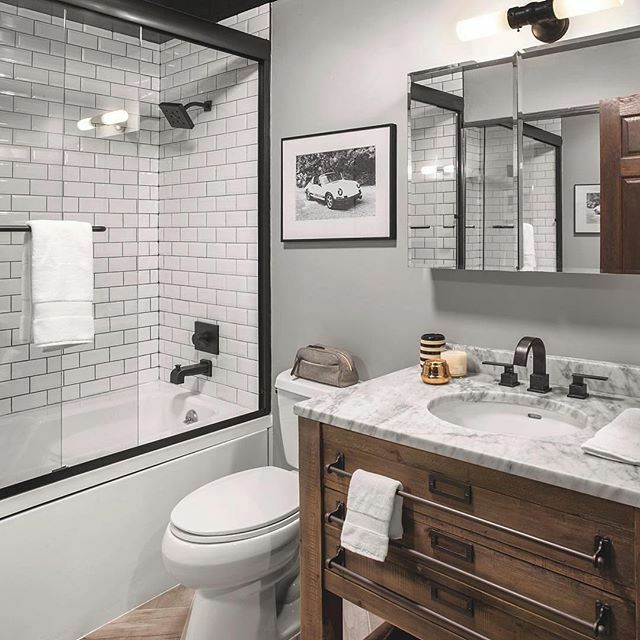 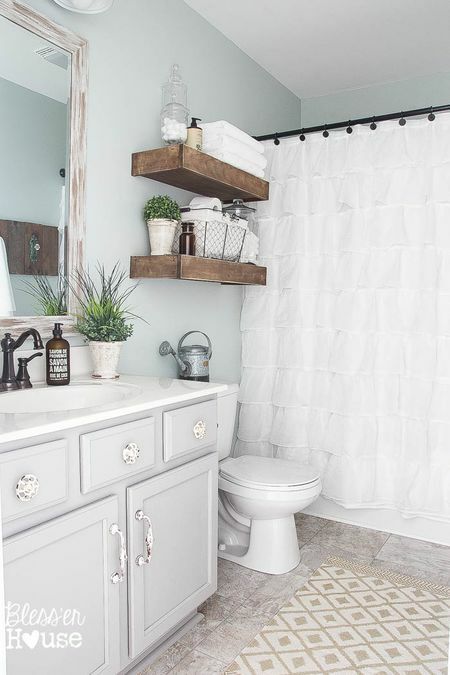 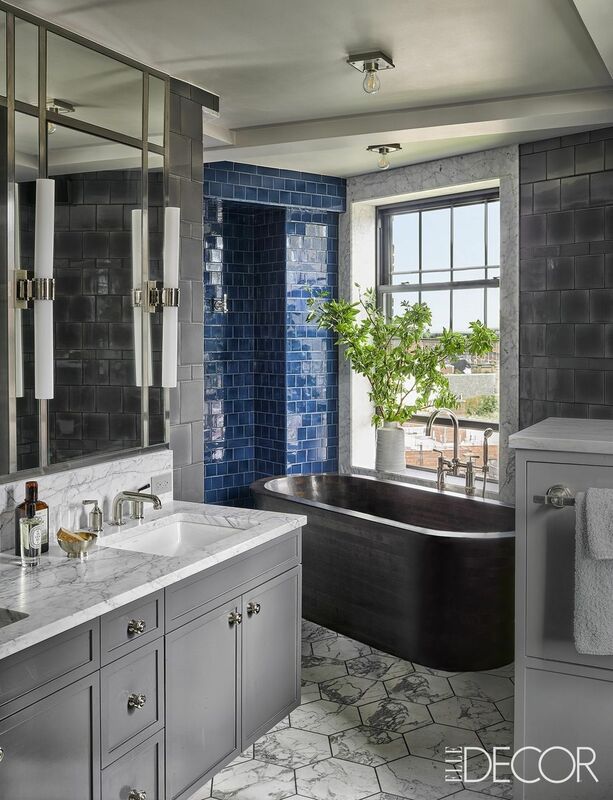 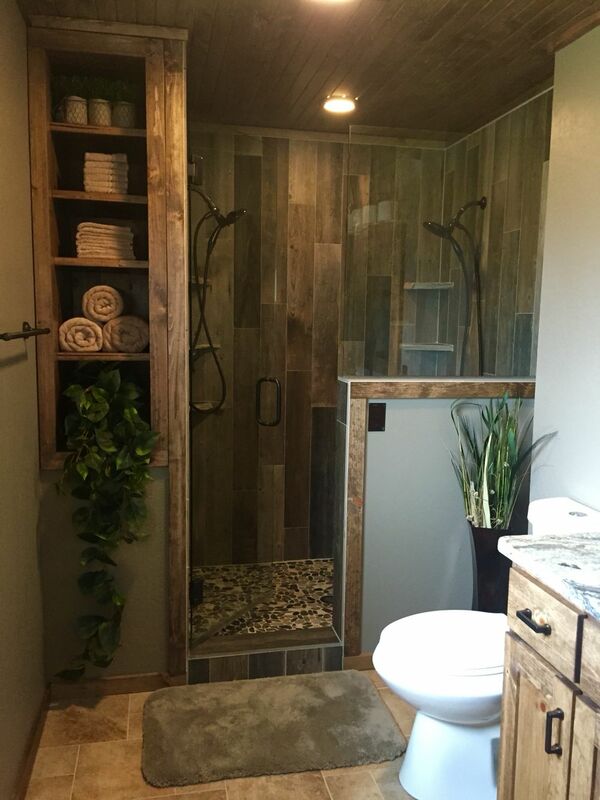 Kind of rustic industrial bathroom. 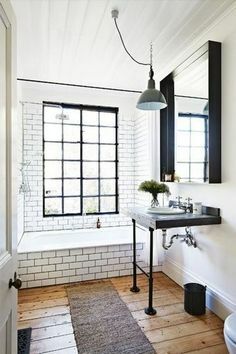 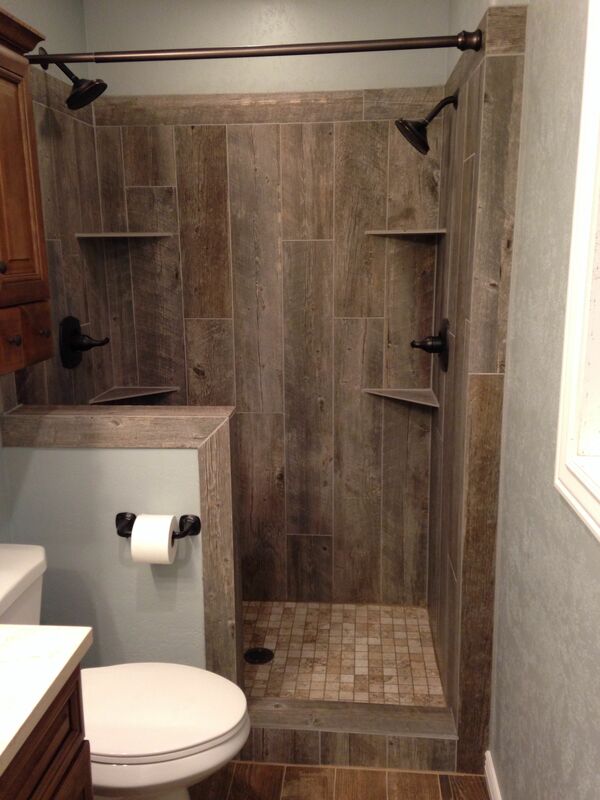 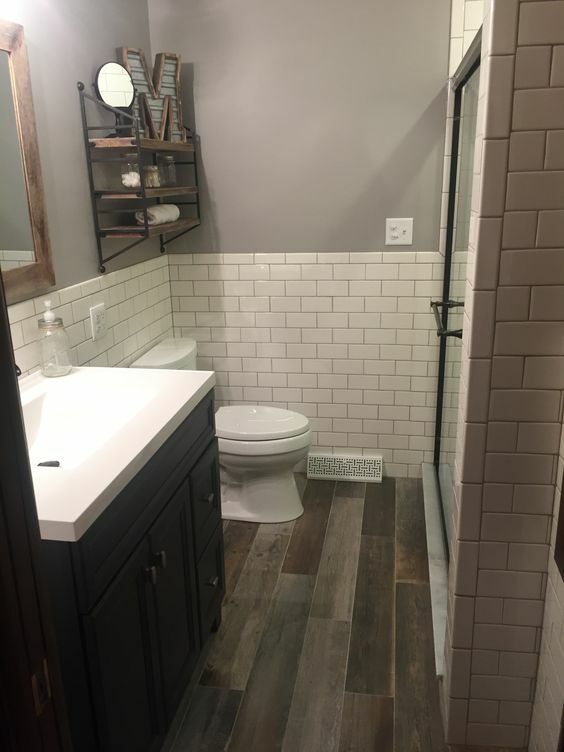 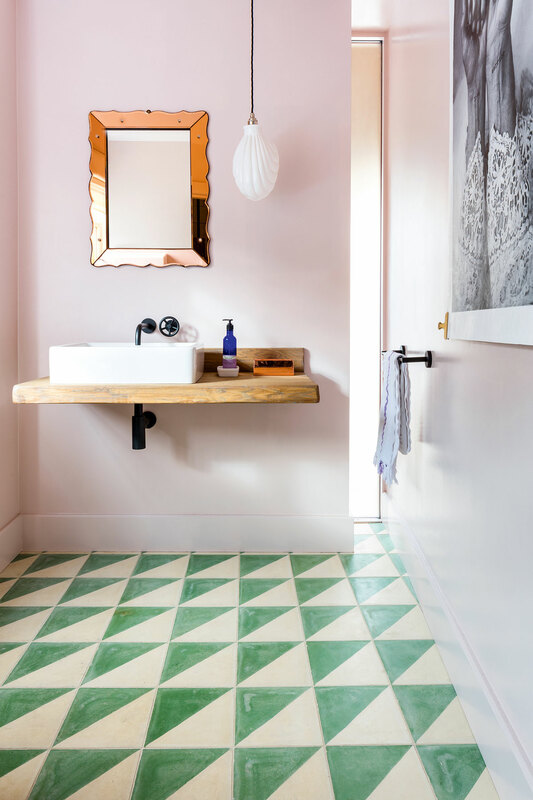 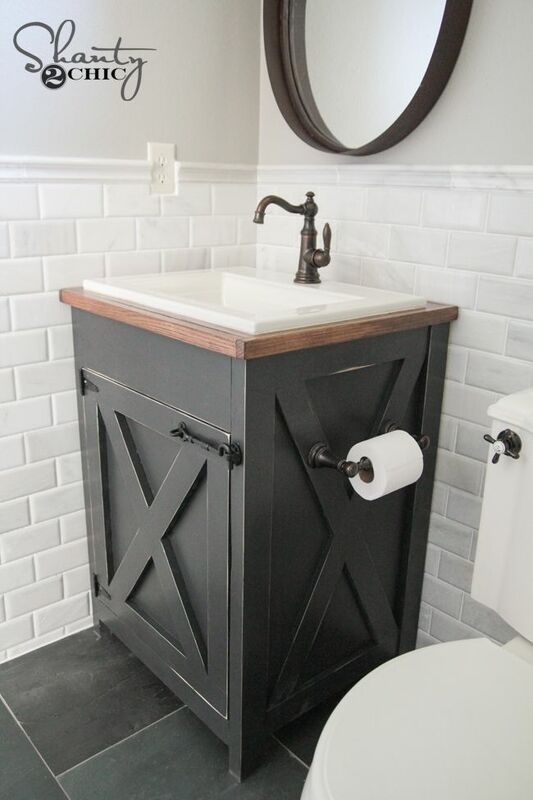 subway tile, and slate tile floor. 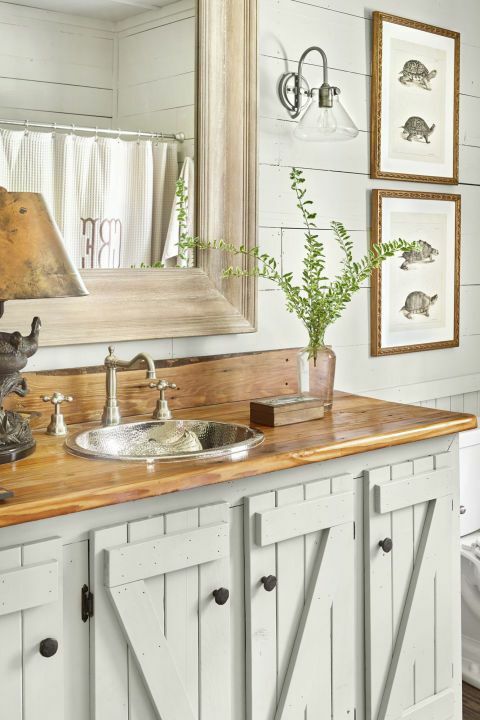 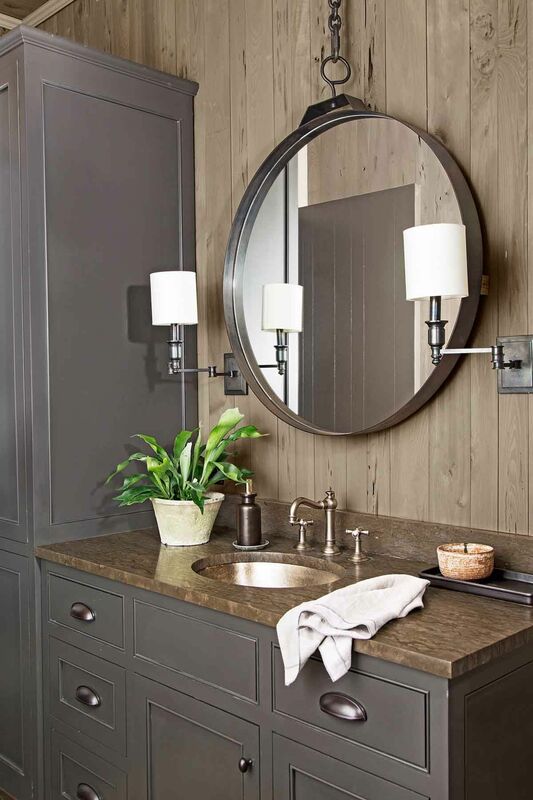 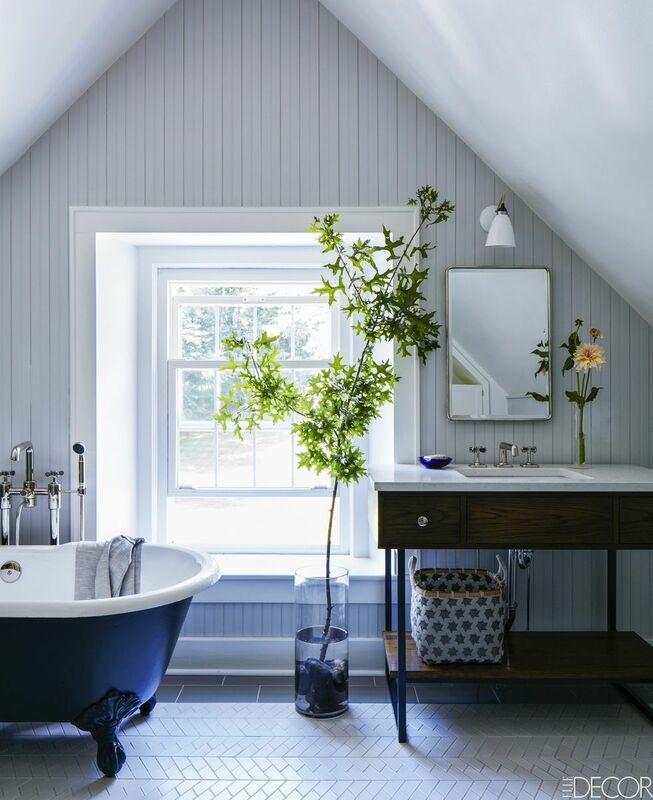 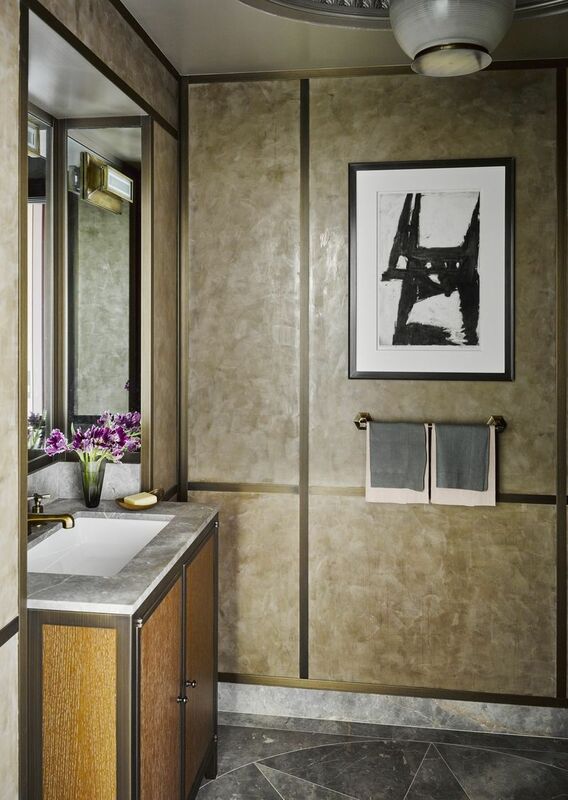 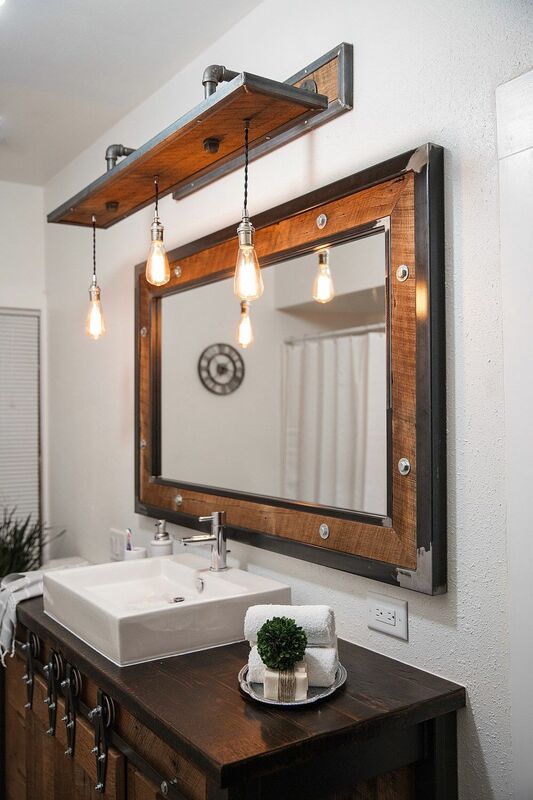 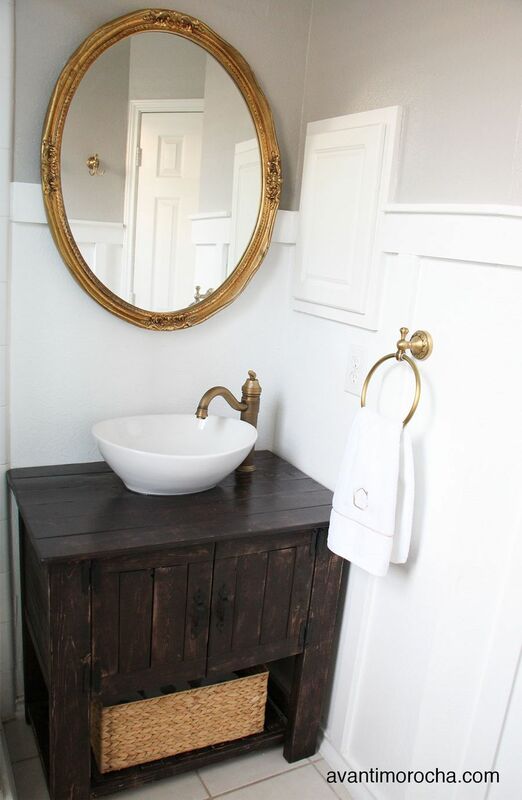 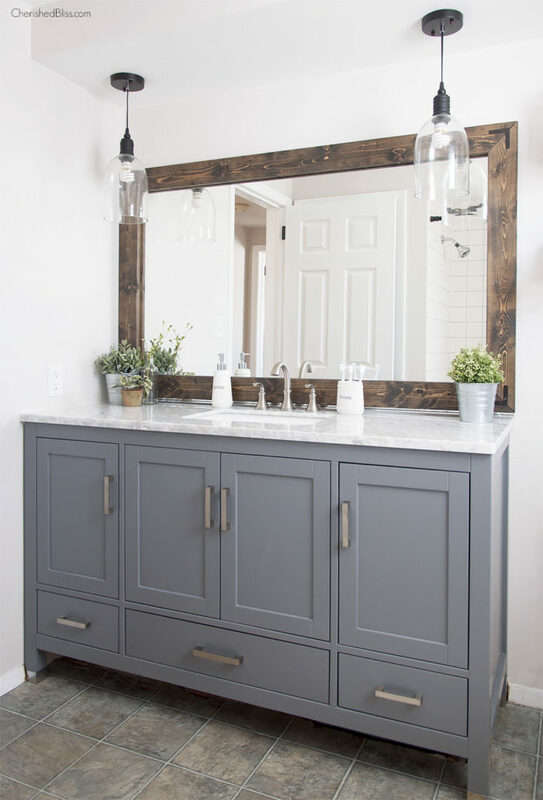 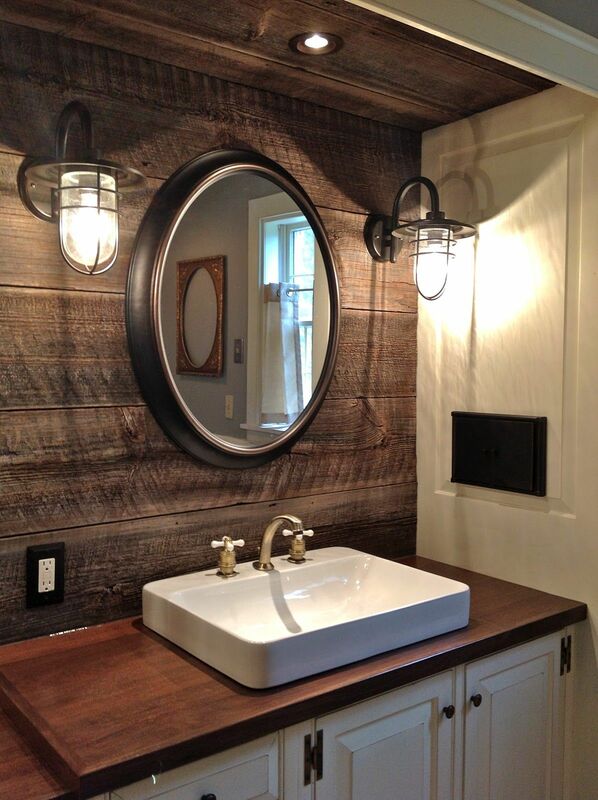 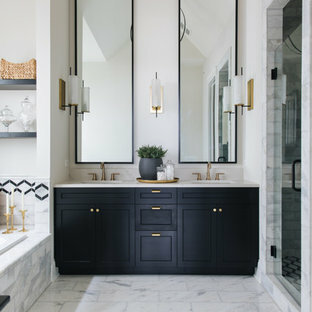 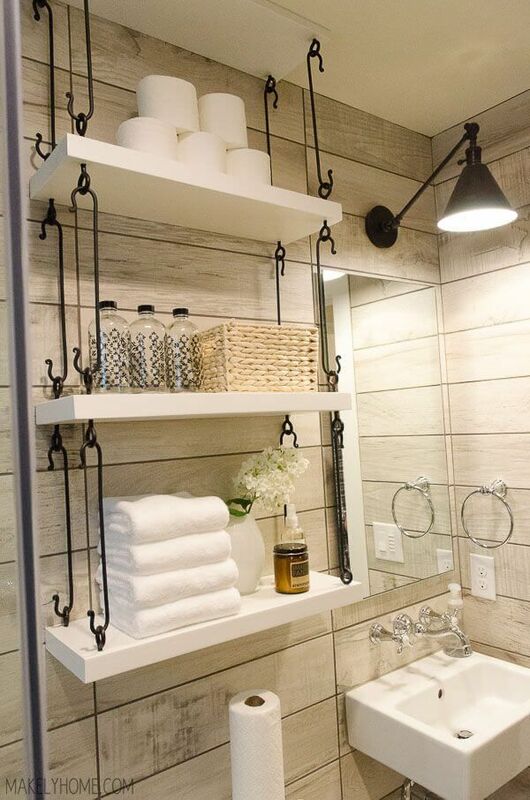 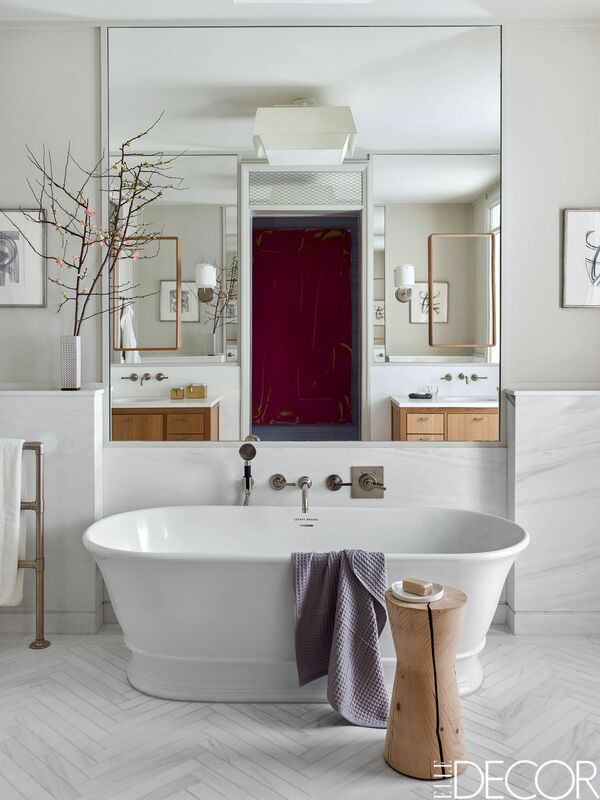 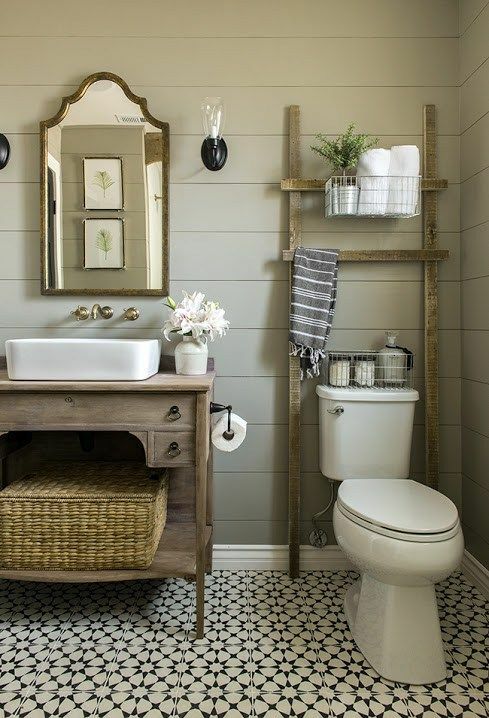 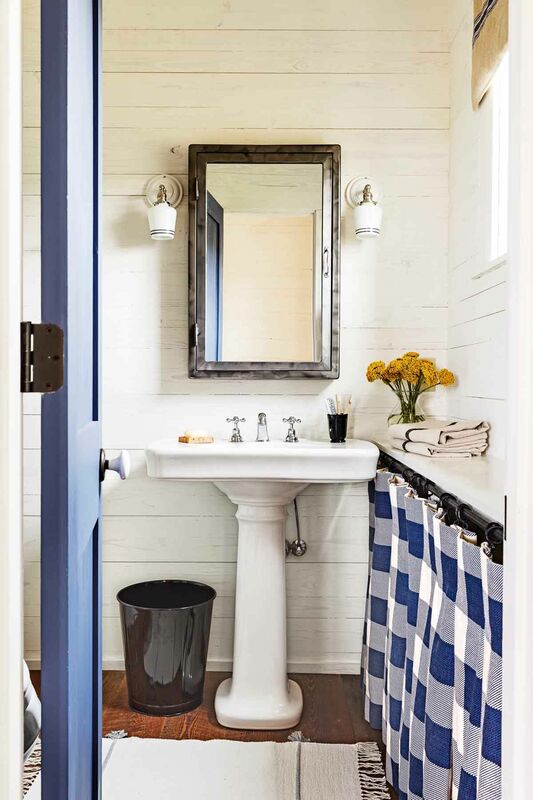 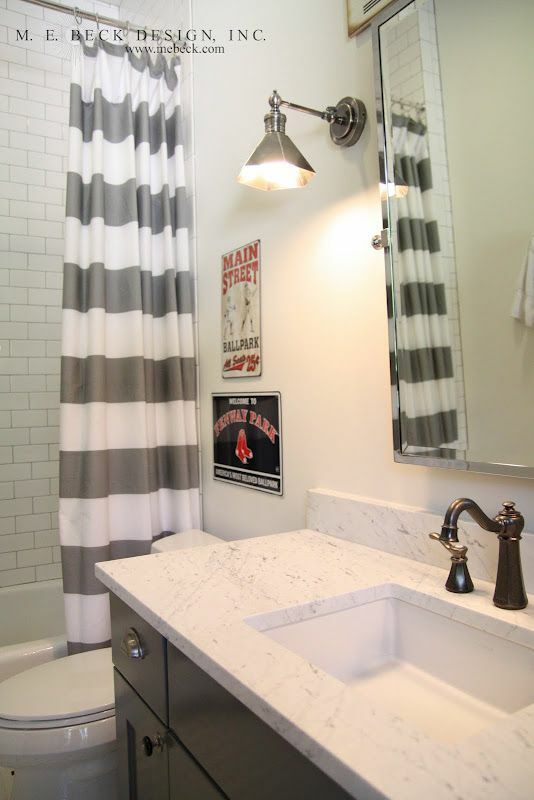 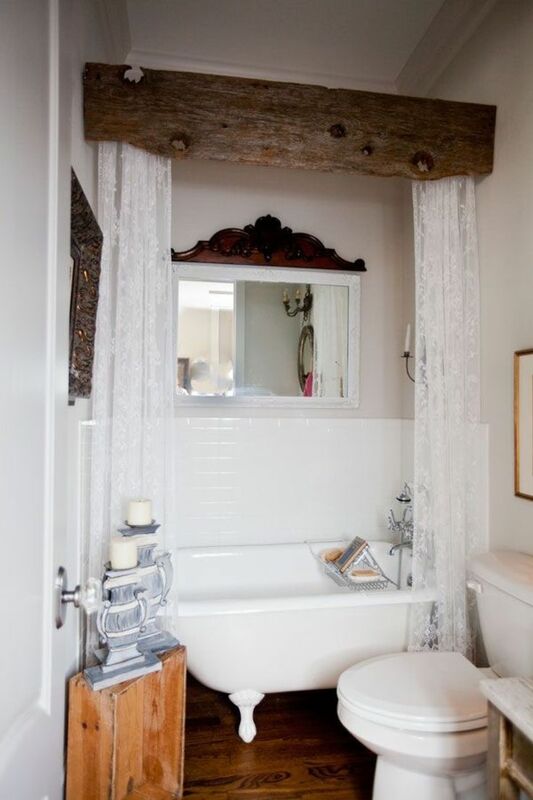 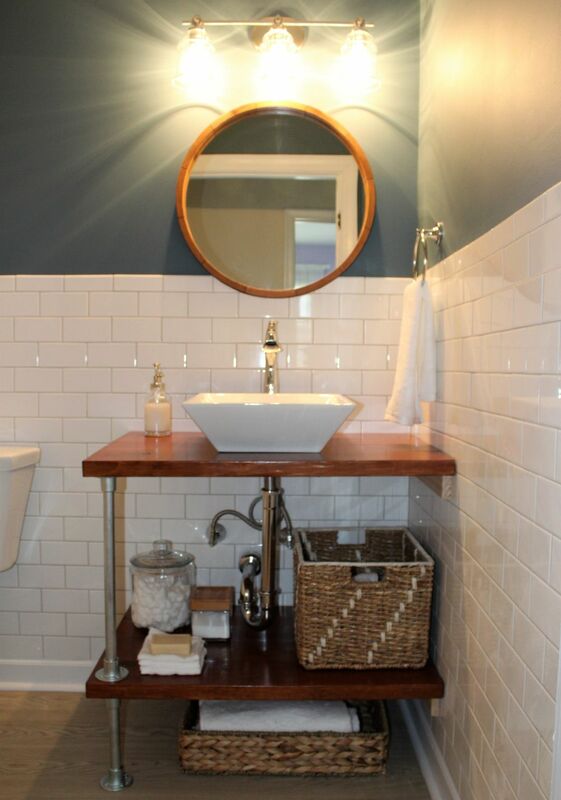 wood ceiling ties into the vanity. 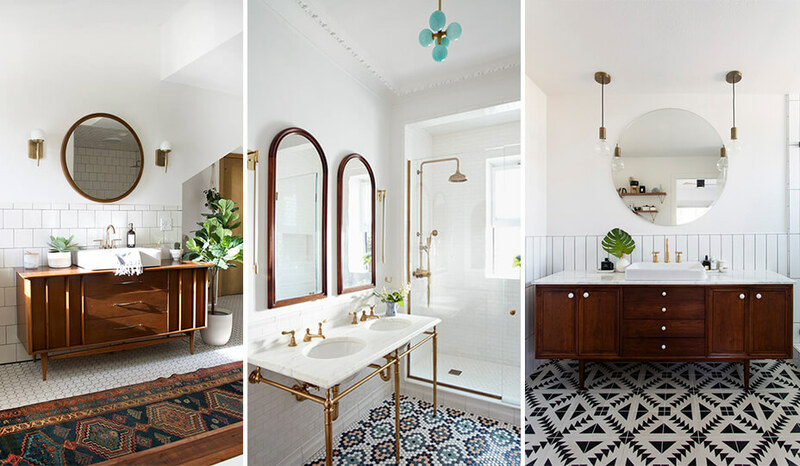 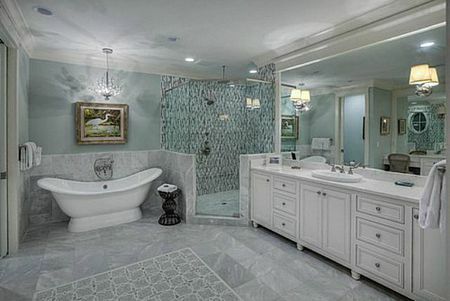 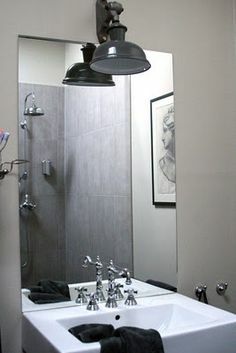 For my bathroom, I want to have two "sides", showing my double-personality. 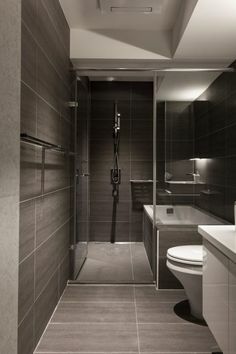 This represents the dark,creepy side of me. 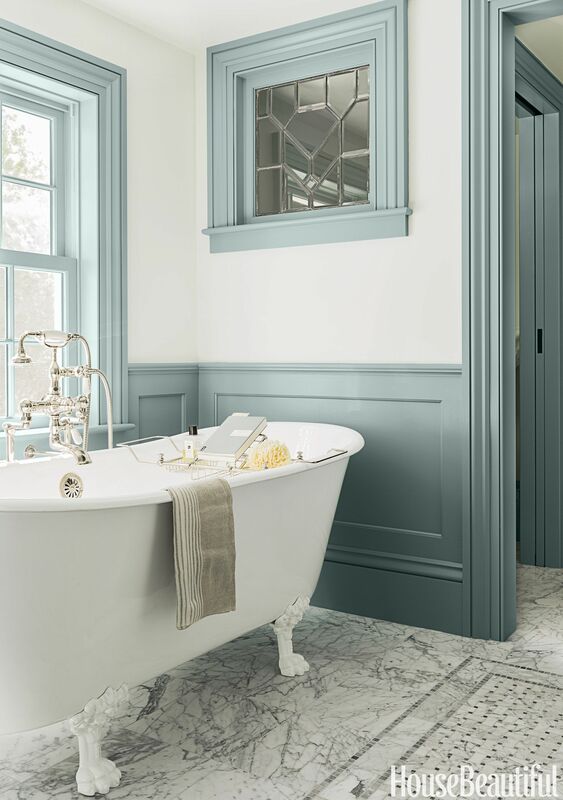 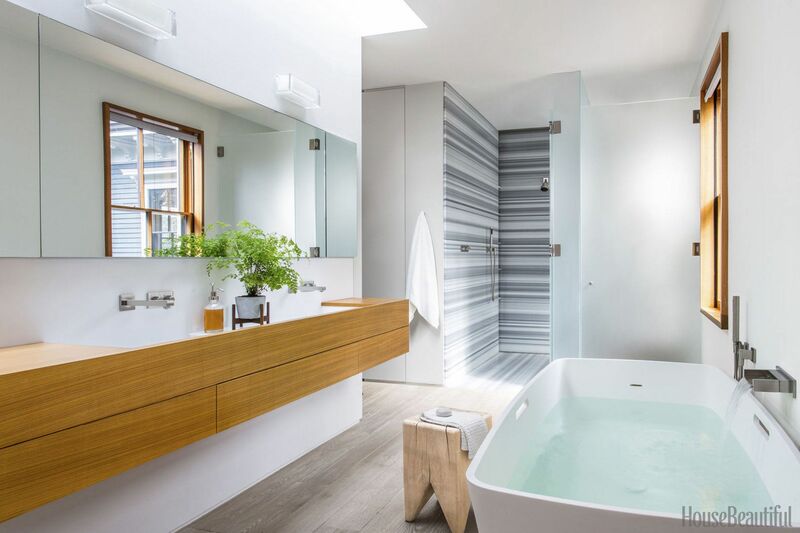 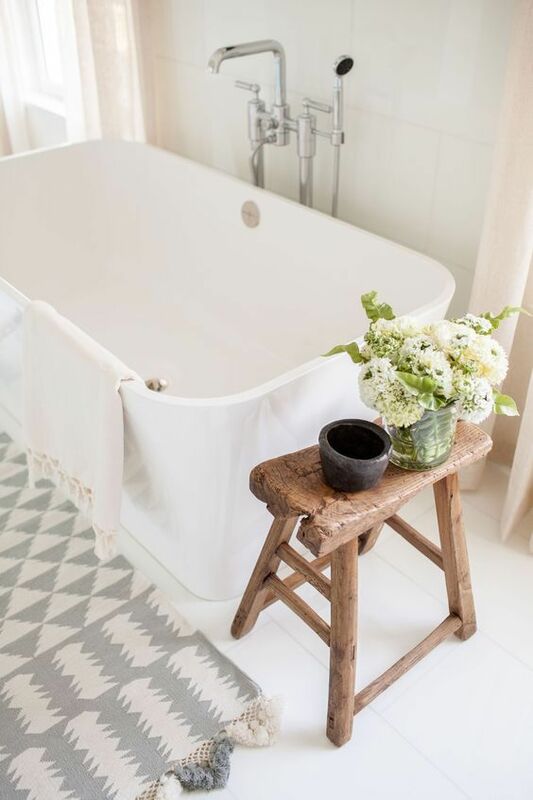 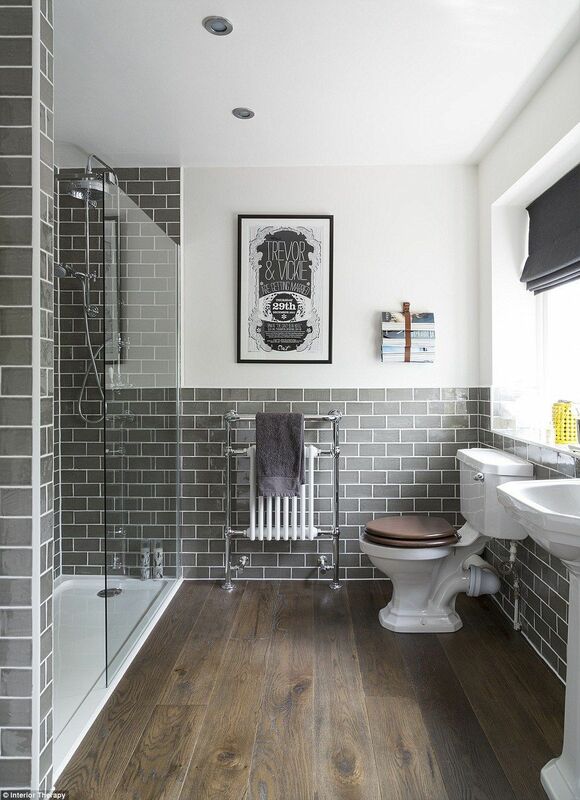 This image of a refurbishment in Buckinghamshire, posted by Interior Therapy, has been saved more than 91,000 times by Houzz users. 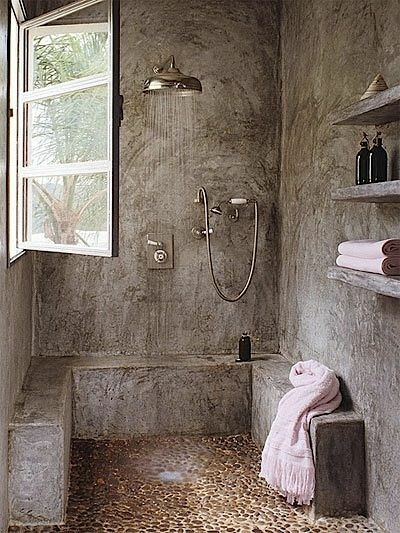 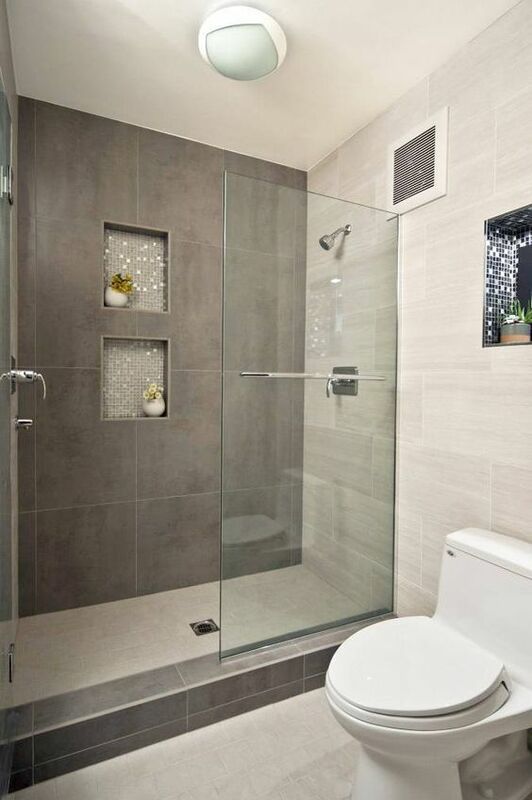 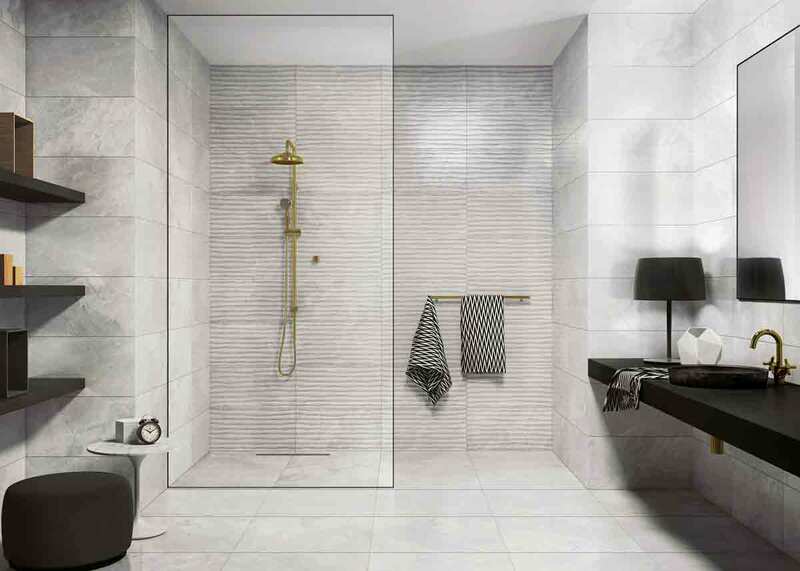 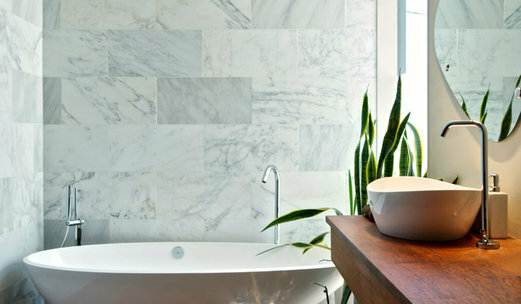 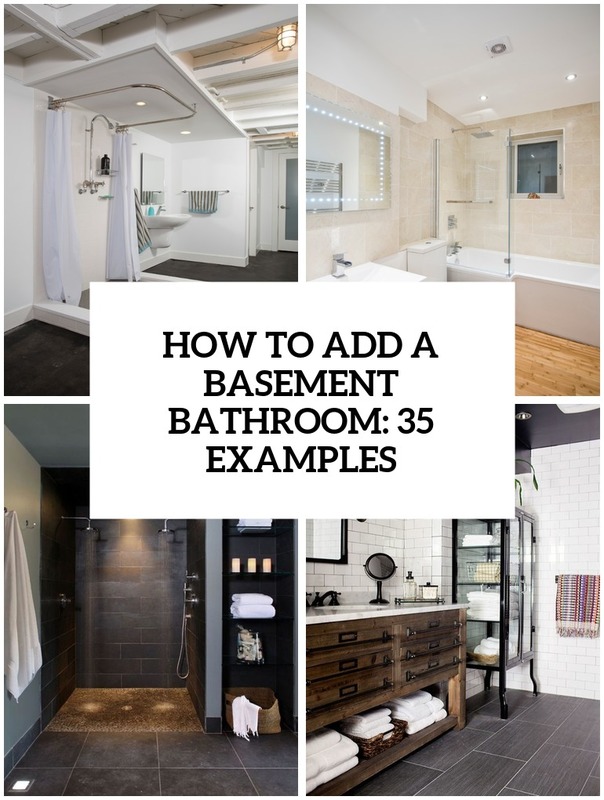 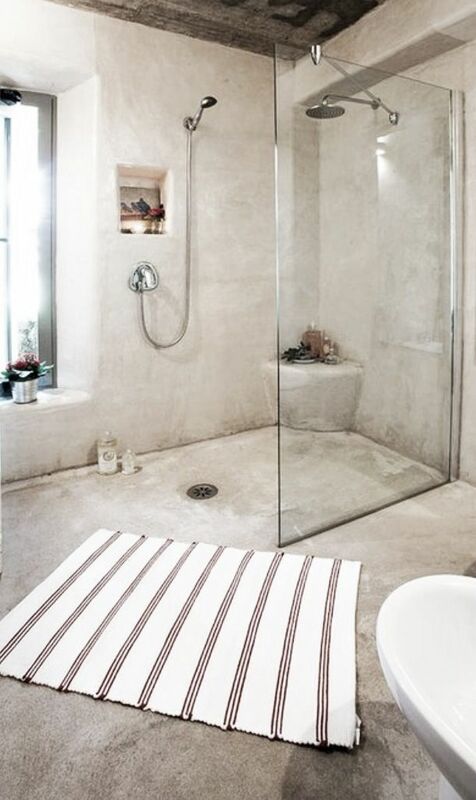 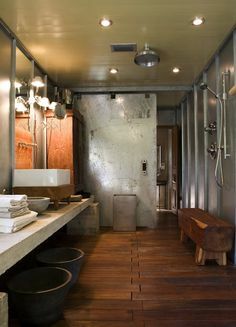 bathroom with concrete walls and raw floor. 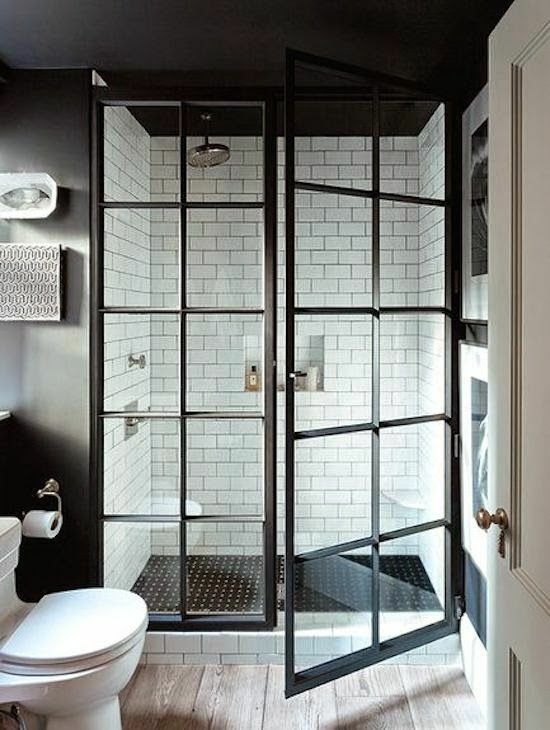 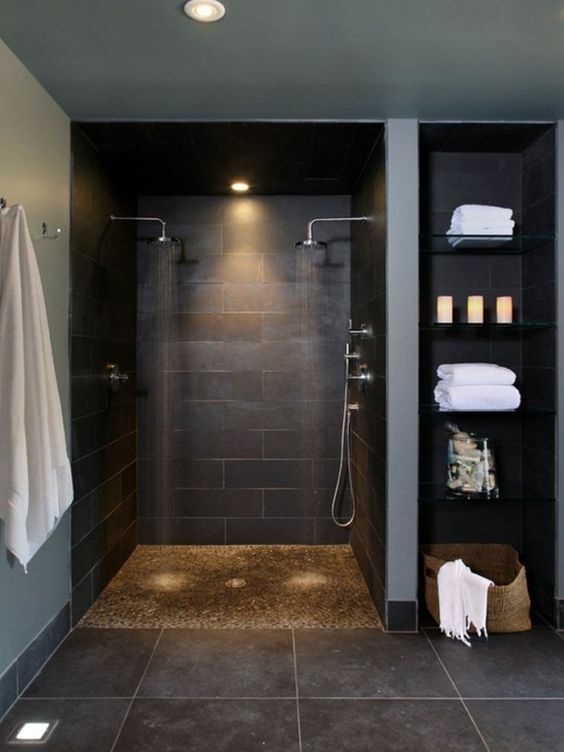 I am fairly sure stepping into this shower would be like dying and going to heaven! 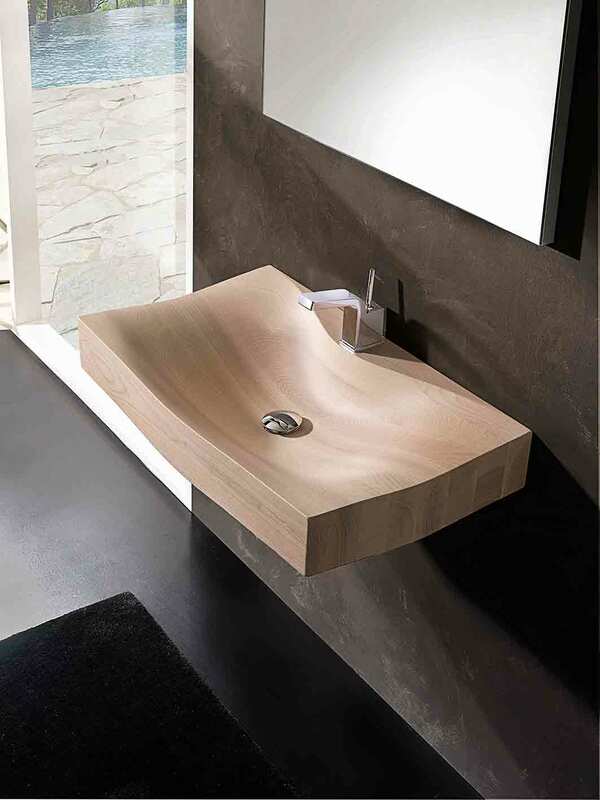 ... dried for nine months, hollowed out with a wave-like shape and treated with eight layers of waterproof finish. 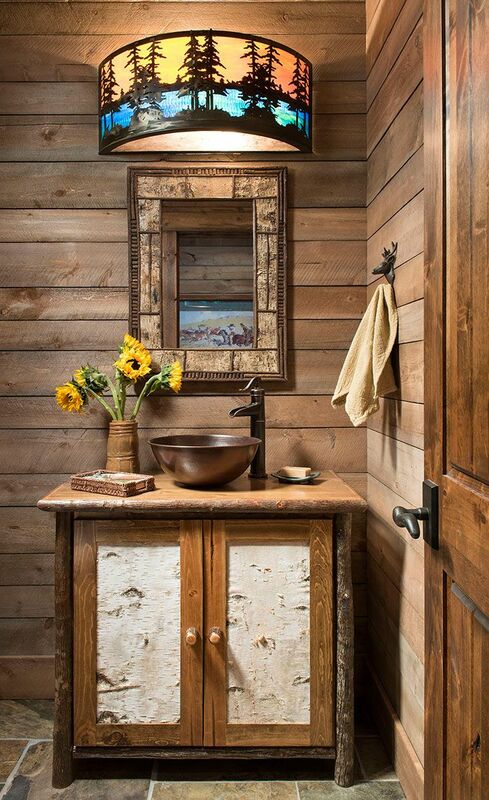 Talk about rustic with a polished edge.